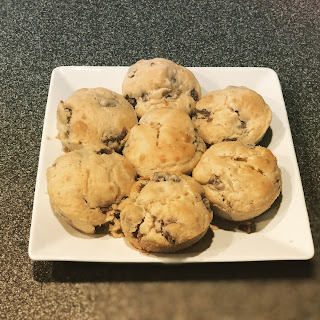 Home Food Quick & Easy Sausage Pancake Muffins! Quick & Easy Sausage Pancake Muffins! 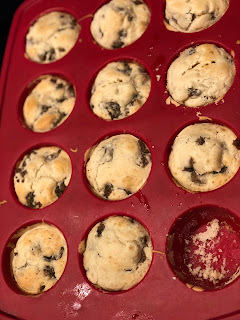 This morning I whipped up a yummy and easy grab and go breakfast. On the weekends I usually make bacon or breakfast sausage, pancakes and eggs but this morning as I’m stirring the ingredients in for pancakes I thought I’d try something different. 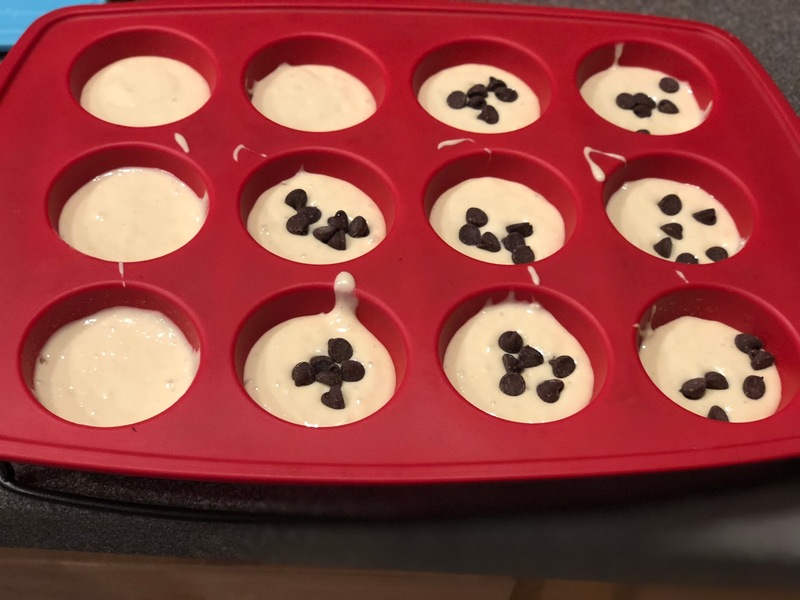 I always follow the recipe on the back of the Bisauik box for their Ultimate pancakes then I usually add an extra 1/4C of milk (we use 2% milk). 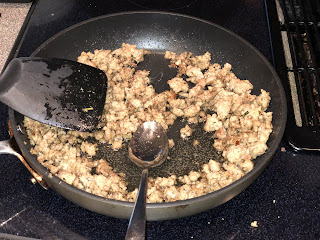 I’ve been making our breakfast sausage from scratch ever since I found the recipe for breakfast sandwiches (click Here) and they’ve turned out well every single time. The only difference is I halved the recipe and I didn’t need to form the meat into patties. After mixing in the spices, I put all the seasoned ground pork in the pan and cooked over medium high heat. After it was cooked, I transferred the breakfast sausage onto a paper towel lined plate to soak up some of the fat. 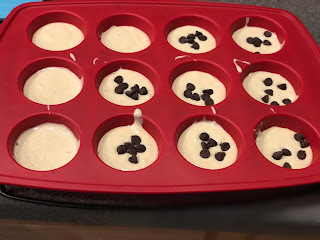 Then I got out my silicone cupcake pans and filled them halfway with pancake batter. 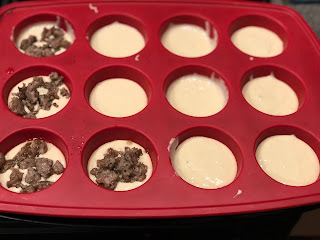 I added a spoonful of breakfast sausage meat on top of each one. After making a dozen with breakfast sausage my kids asked me to make chocolate chip and plain pancake. 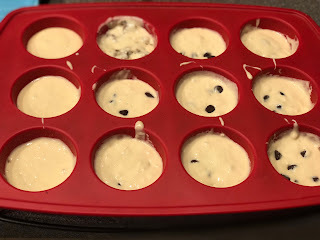 I added 6 chocolate chips into 8 and left the last 4 plain pancake. Stir in the breakfast sausage or chocolate chips then put the trays in the oven at 350F for 15 mins and voila! 2 dozen pancake muffins in whatever variety you decide to make. Next time I plan to double the recipe and make 4 dozen so I can freeze some.